Spring Concert 2019.... now with added video! 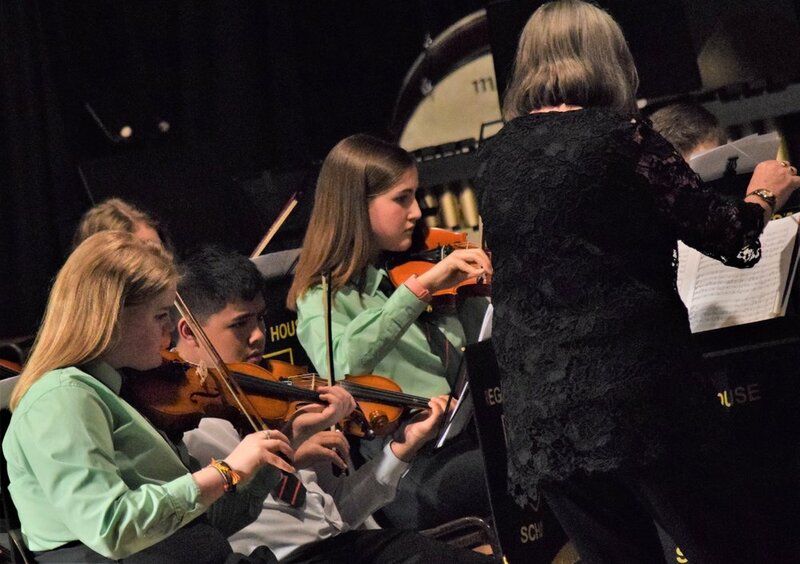 On Friday 22nd March, our pupils showcased their musical talent in our much-anticipated Spring Concert. 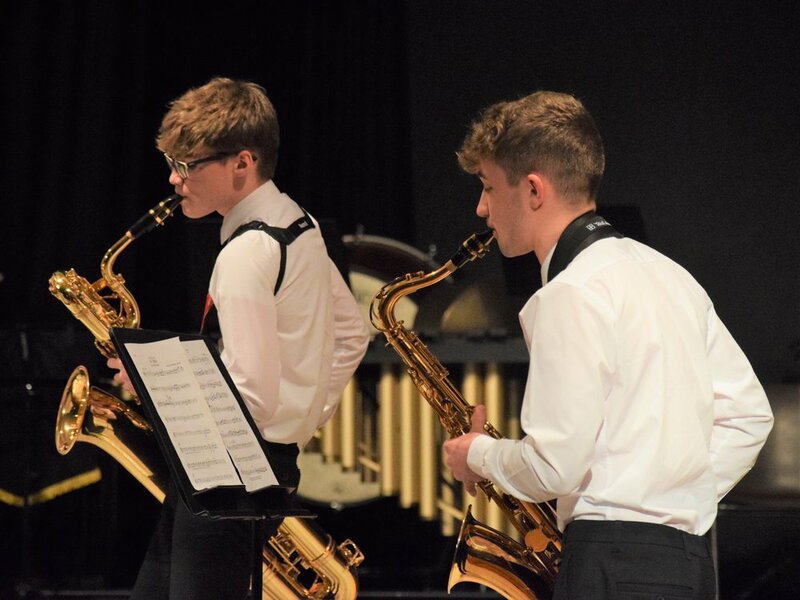 The evening featured performances by all of our large groups and there was music to suit all tastes from Classical through to Jazz, Musical Theatre, Film Music and Rock. Huge congratulations to all of our talented musicians on a very successful concert! Oliver Stevenson 8A recently had the privilege of performing once again at The Grand Opera House Theatre, Belfast in The Sound of Music as Friedrich Von Trapp. Oliver thoroughly enjoyed playing this role as a 14 year old boy from Salzburg, Austria before World War II. This was an fabulous opportunity for Oliver to entertain the people of Northern Ireland as he himself ‘Climbed Ev’ry Mountain’ to get past each tough audition stage. Oliver ‘Had Confidence’ in his ‘Do-Re-Mi’, even though at times he thought he was ‘Sixteen going on Seventeen’, doing ‘Something Good’. Oliver had to ‘Solve a Problem like Maria’ and he thoroughly enjoyed finding out what ‘Edelweiss’ actually is. Oliver definitely experienced his ‘Favourite Things’ throughout the run of the show and as the final curtain fell Oliver sang an emotional ‘So Long, Farewell’. A big congratulations to Oliver! 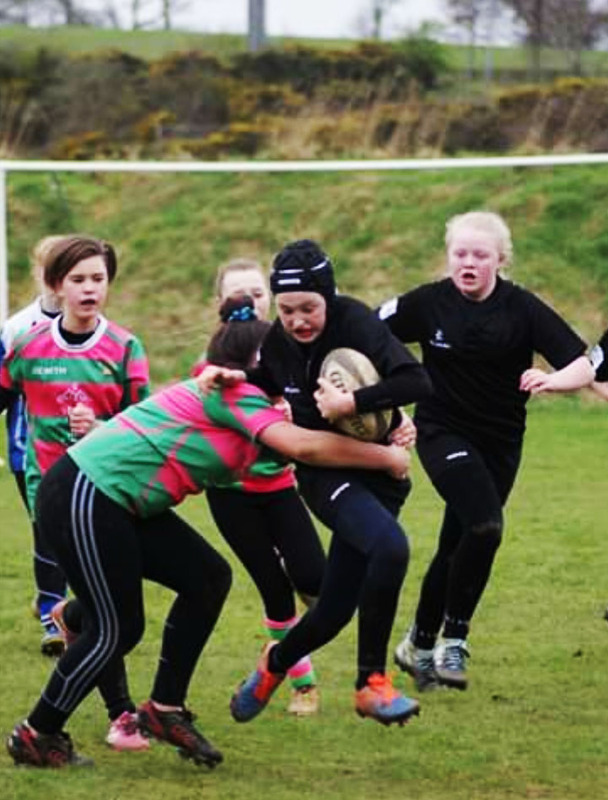 A big “Well done!” to Abi Carson in 8B, who plays rugby for Cooke RFC - A select few teams from Northern Ireland have been invited to play at the National Blitz this Sunday 7th April at Cill Dara RFC. Abi’s team have also been invited to play in Italy on 24th - 28th August. This is a great opportunity for the girls involved, and Abi is a great representative for girls rugby. Oliver was recently casted to film with ‘BBC Teach’ to star in an episode on Creativity. Oliver was filming with Naomi Wilkinson who is a well known English television presenter since 1999 and has featured on our screens a lot. Naomi started work on Milkshake for Channel 5 in 2000 where she was producer and presenter. She has been a regular presenter on CBBC since 2010 after leaving Milkshake – she has her own show: Naomi's Nightmares of Nature. Naomi also voices over Pop, Tiny pop and former Pop Girl .She also voiceover for the Community Channel. Oliver thoroughly enjoyed his experience filming with Naomi and the production team. He had an opportunity to be filmed on teaching children how to write scripts creatively. He also had the opportunity to show off his creative talent in tap dancing whilst working on this episode. We look forward to watching this episode on ‘BBC Teach Creativity’ - when it will be screened on BBC Teach in the upcoming months. The Regent House Golf Team travelled to Royal Belfast Golf Club on Monday 25 March to play Methody in the latest round of the Darren Clarke Schools’ Golf Championship. We defeated Methody 5-0 with each of our golfers winning their individual match – a great achievement! The pupils involved were Robbie Davidson, Jonny Murray, Matthew Bruce, Dylan McLaughin and Ben McCord. Congratulation to Jamie Spratt, Andrew Welsh and Harry Crawford who have been selected for the Ulster U16 development squad. They will train in April 2019 and after this period the group will be reviewed and may be reduced in number so we wish them the best of luck over the next month! The school is very proud of their achievements so far and wish them well in the months ahead! Dr Mary Hannon-Fletcher, Course Director of Biomedical Sciences at the University of Ulster Coleraine visited the Biology Department on Friday 15th March. Dr Hannon-Fletcher is involved in a Royal Society funded project with the Biology Department to develop the teaching and learning of the polymerase chain reaction (PCR) to pupils. Dr Hannon-Fletcher spent the morning talking to Year 13 and Year 14 pupils about Biomedical Sciences and the role of laboratory based PCR. 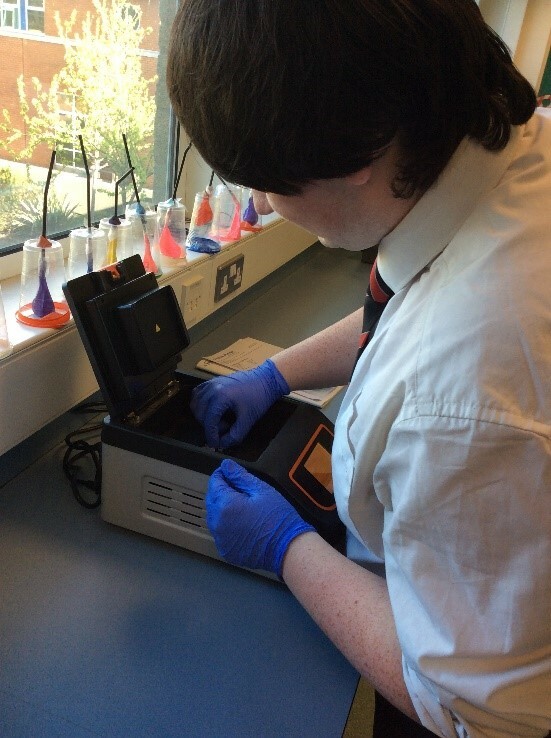 She carried out a number of PCR reactions with pupils using the Biology Department’s recently acquired PCR machine courtesy of a Royal Society Partnership grant. 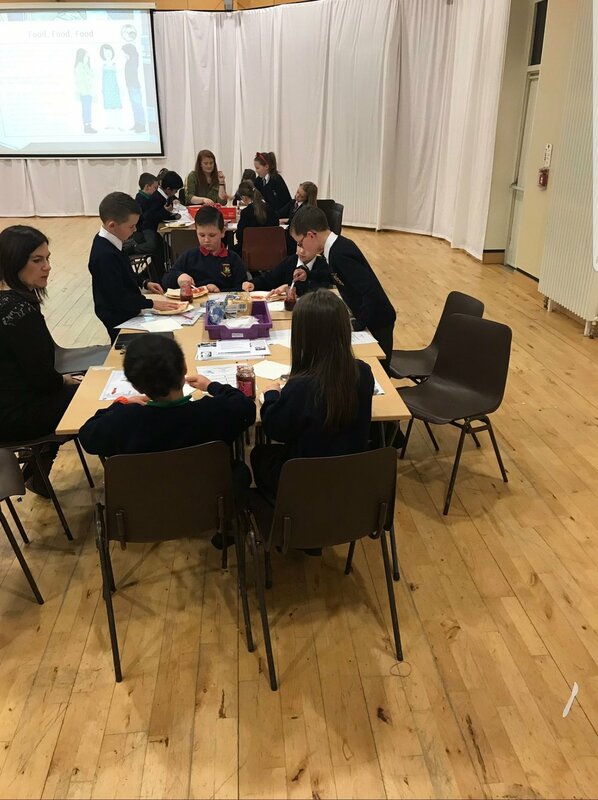 As part of our commitment to reaching out to local primary schools and providing opportunities to local pupils to experience learning in Regent House, the History and Politics and Home Economics Departments recently had the pleasure to host more than seventy pupils form three local primary schools (Londonderry, Newtownards Model and Saint Finians) across three days as part of their Shared Education programme. The pupils, all in Primary 4, are currently learning about life during World War Two and during their visit to Regent House they learned about life on the Home Front during the war and the impact that rationing had on the everyday lives of boys and girls their own age. The three sessions which took place in January, February and March were hosted by Mr M Lowry (Head of History and Politics) and saw the pupils carry out a range of interactive activities including poster making, menu design and the popular task of making the well-known wartime delicacy of jam sandwiches! Whilst Regent House regularly carries out outreach events with local primary schools, this was the first time that we have contributed to their Shared Education programme and judging by the number of empty plates at the end of the sessions, the pupils seem to have thoroughly enjoyed their first experience of learning in our school. We look forward to welcoming them back in the future! This is part of our current school development plan and has been developed in consultation with the Senior School Council. The changes were formally approved by the Board of Governors and our recognised uniform stockists have been informed. We are changing the badge on the school blazer (and other garments which still use the old-style badge). This change will affect all pupils throughout the school, including our Preparatory Department, and is the final stage of bringing the blazer crest into line with the newer version (see the RH crest to the right) which is currently used for our sportswear and on our official school documents. This change will be implemented from September 2019. During the phasing-in period the older style school badge will be permitted throughout the next two academic years until the end of June 2021. We are also introducing a new sixth form tie to distinguish our sixth form pupils (for pupils in Year 13 and 14 only) from the rest of the pupil body. The style of new tie remains quite similar to the ordinary school tie but you will notice a few subtle differences. The sixth form tie will be sold by our recognised stockists and will be in use from September 2019 onwards. During the phasing-in period, sixth form pupils are permitted to wear the normal school tie during the next two academic years until the end of June 2021. We look forward to these uniform changes in September. The blazers and ties are expected to be available from our recognised uniform stockists from June 2019 at the latest. 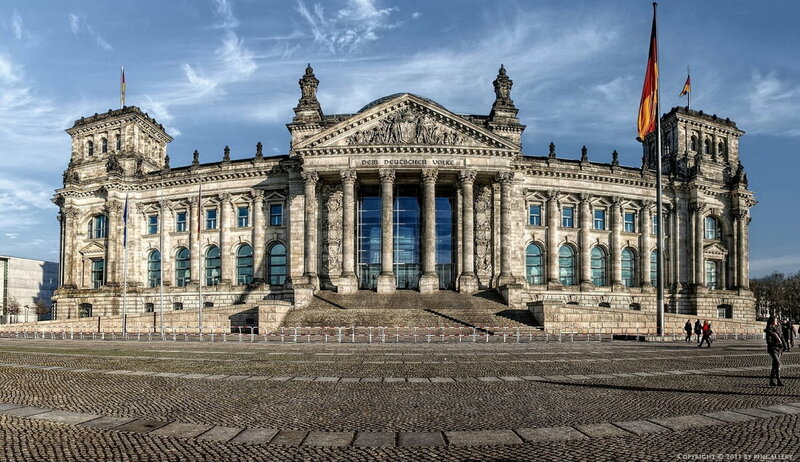 We are offering an educational trip to Berlin for Middle School German and/or History pupils in February 2020. If you are interested, then please click here to view the PDF for full details. The Intermediate Maths Challenge (IMC) took place on Thursday 7th February where 64 pupils from Years 11 and 12 took part. From this group 2 achieved gold, 12 achieved silver and 18 achieved bronze. Special mention goes to Elsa Hoque who achieved the best result in the school. Both herself and Reuben qualified for a follow up round, the Pink Kangaroo paper, and we wish them the best of luck on Thursday 21st March. The Senior Maths Challenge competition took place on 6th November, with 53 students from across Years 14 to 12 taking part. Paige Irvine in Y13 who achieved Gold and the highest mark in the school. Josh Thompson and James McNinch both in Y13 who achieved Gold awards. All 4 of these students qualified for the Senior kangaroo round, which is a brilliant achievement. We are delighted that two of our senior pupils will be attending the 51st National Mathematics Summer School this July. It is to be held at Woodhouse Grove School in Leeds. Elsa Hoque (Year 12) was invited to attend following an excellent performance in this year's Intermediate Mathematical Challenge. James McNinch (Year 13) applied for and was accepted to go as a Senior which will involve assisting with students and acting as a mentor. Both these pupils deserve our congratulations for their interest and achievement in Mathematics. 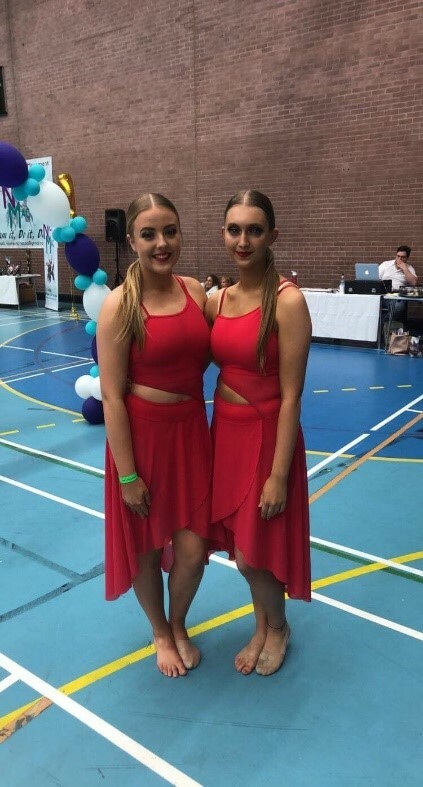 Regent House Dance Team certainly did well at the recent NICMAC Competition bringing home an impressive tally of 14 gold medals, 19 silver medal and 36 bronze medals. Well done to all involved….our next competition is Ulster’s on Friday 22nd March! As part of World Book Day our students had been involved in some Primary School visits, both reading to the younger pupils and explaining the process of having their own book published. A huge thank you to Ryan, Lana, Max, Molly, Lauren and Charis who came to Newtownards Model today. They were a credit to Regent House. They first four spoke confidently and read engagingly and Charis and Lauren explained the process of writing, publishing and marketing their book beautifully. We hope they enjoyed the experience. Thank you to the Model Primary for having us! The Ulster Grammar Schools’ Swimming Championships were held at Larne Leisure Centre on Saturday. Naeve Pountney in Year 10 finished in 1st place in both the Junior 50m Backstroke and the 50m Backstroke. Kiera Aiken in Year 8 finished in 2nd place in the 100m Individual Medley. 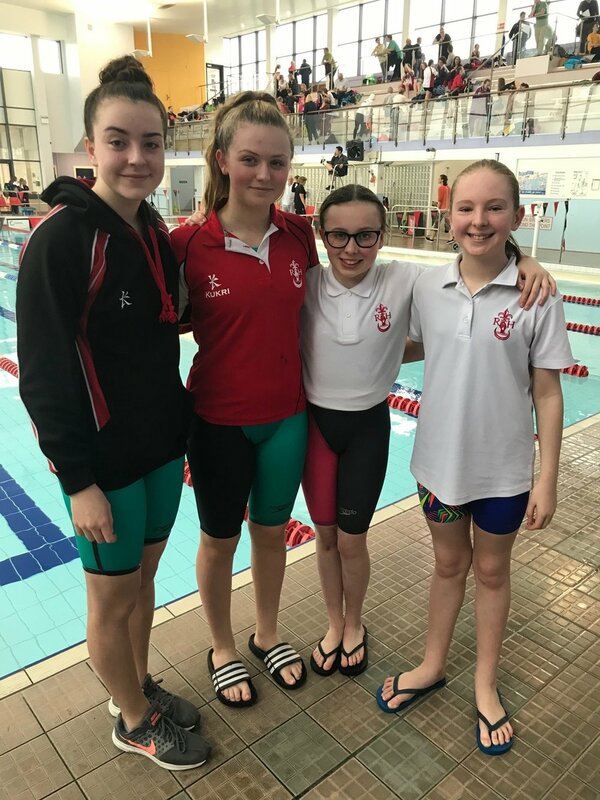 The Junior Girls’ Relay Team of Kiera Aiken, Megan Diamond, Cassie Huddleston and Naeve Pountney finished 3rd in the Medley Team Relay and the Freestyle Team Relay. Well done to the swimmers on an excellent set of results! 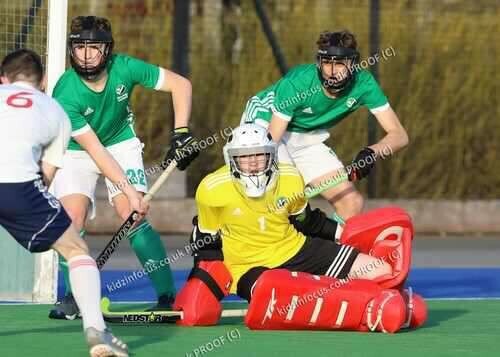 Sam Hamill has been away with the Irish U18’s boys hockey team in Lilleshall over half term where he played a 2 match series against the English U18 team. Sam and the team beat England in the first game with Sam keeping a clean sheet. The following day, they lost to England 5-4 in the dying minutes of the game due to a controversial goal being given to the hosts. Sam will travel to Germany and Scotland in the coming months before heading out to Holland for the Six Nations tournament where the Irish will play against Germany, Holland, Belgium, Spain and England, and we wish him all the best for these matches! The ski trip for Bormio in Italy 2020 is launching this week, all information is on the letter to download. A form must be printed, completed and returned in order to book a place. Forms with £50 deposits will be accepted from 8.40 am on Monday 11th March onwards to Miss Bell only, on a first come first served basis. There are 60 spaces on the trip and it is usually oversubscribed so get in early to avoid disappointment. As the school’s football season reaches it’s climax over the next month, these are exciting times for Regent House Football Club. Fresh from reaching the final of the Northern Ireland U18 Plate on Friday with a 2-1 victory over Portadown College,, the 1st XI take on RBAI for a place in the semi final of the Belfast and District Schools Senior Cup. The treble dream is very much alive with the boys also top of the Grammar Schools’ League. This week, the attention shifts to the U16 team captained by Ben Hollinger. The U16s, featuring 3 schoolboy internationals, take on Our Lady and St Patrick’s Knock for a place in the final of the Belfast Schools Cup. The Boys Model or Edmund Rice College await the winners. The game will take place at Knockbreda F.C. this Friday, 8th March with a 1.30pm kick off. After beating tournament favourites Ashfield Boys 6-0, confidence is high, but the boys know the semi final will be a tough game against quality opposition. Hopefully the return to the squad of Jonah Heron, Joe Hopes and Dylan Sloan - fresh from two weeks in Spain with Northern Ireland, will bolster the squad. The U16 team are also in the semi final of the Northern Ireland Plate after defeating Lagan College 3-0 in the quarter final. With 5 trophies still to play for, these are indeed exciting times! Tickets costing £8 and £5 concession, and will be sold outside the canteen at break and lunch from Monday 11th March. The Regent House Young Enterprise team 'Aurum' competed today in their final competition at the South Eastern Trade fair, which consists of all schools in the South Eastern Area Board. It is a card game which consists of snap and charades. It aims to make people more aware of Sign Language by teaching people the basic 'signs' to enable them to communicate better with those who have hearing loss/ are users of sign language. Games can be purchased at £5 and If you would like to know about it or to purchase a game, please make contact with Aurum through social media!